Certifications differ not just by location (regional, national or international) but by the many variables including sustainability, design, energy efficiency and much more. 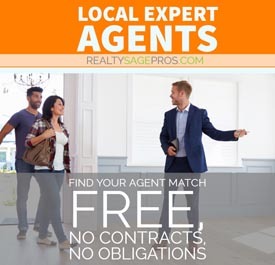 Here are just some of the many third party certifications that you may find on properties. Saving energy and reducing operating costs are part of formula for paybacks to the homeowner. Building green has more resilience and durability – the builder creates a better product. Quality-built green homes have better indoor air quality and comfort levels – the homeowner has a better living environment. Since 2008, the U.S. Department of Energy's (DOE) Builders Challenge program has recognized hundreds of leading builders for their achievements in energy efficiency—resulting in over 14,000 energy efficient homes and millions of dollars in energy savings. The DOE Zero Energy Ready Home—formerly DOE Challenge Home—represents a whole new level of home performance, with rigorous requirements that ensure outstanding levels of energy savings, comfort, health, and durability. LEED certification means healthier, more productive places, reduced stress on the environment by encouraging energy and resource-efficient buildings, and savings from increased building value, higher lease rates and decreased utility costs. Developed in cooperation with Building Science Corporation under a US Department of Energy (DOE) grant, the PHIUS+2015 standard targets the sweet spot between investment and payback to present an affordable solution to achieving the most comfortable and cost-effective building possible and the best path for achieving zero energy and carbon. Buildings designed and built to this standard perform 60-85% better (depending on climate zone and building type) on an energy consumption basis when compared to a code compliant building (International Energy Conservation Code IECC 2009). Certified Homes Program and Requirements. The ENERGY STAR Certified Homes program helps homebuyers easily identify homes that are significantly more energy efficient than standard construction in the marketplace. As code requirements have become more rigorous and builder practices have become more efficient, EPA has periodically modified the guidelines to ensure that certified homes represent a meaningful improvement over non-labeled homes. 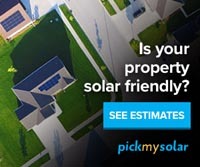 Website: ENERGY STAR Environmental Protection Agency. Our mission is to accelerate the creation of better buildings throughout the Northwest region of the U.S. by providing training to building professionals, conducting relevant research, and certifying single family, multifamily, and small commercial buildings. Built Green provides builders and consumers with easy-to-understand rating systems, which quantify environmentally-friendly building practices for both remodeling and new home construction, communities and multi-family development projects. These systems and the holistic certification framework demystify green building, showcase a variety of strategies, and provide a flexible path for builders to certify their projects. 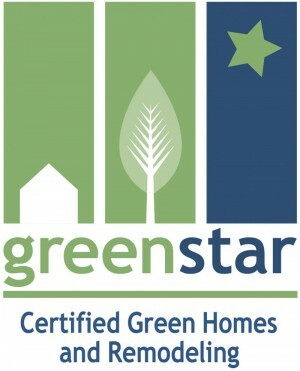 Formerly the Minnesota GreenStar (MNGS), GreenStar Home Certification is a robust above code renovation, addition & new construction program to the market. This program ensures healthier, more durable homes that save energy and water thus reducing the cost of living and improving comfort. 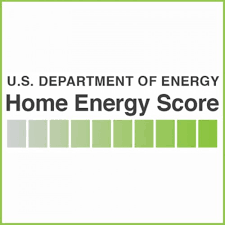 Like a miles-per-gallon rating for a car, the Home Energy Score is an easy-to-produce rating designed to help homeowners and homebuyers gain useful information about a home's energy performance. Based on an in-home assessment that can be completed in less than an hour, the Home Energy Score not only lets a homeowner understand how efficient the home is and how it compares to others, but also provides recommendations on how to cost-effectively improve the home's energy efficiency. The Home Energy Score uses a simple 1-to-10 scale where a 10 represents the most energy efficient homes. Pearl Certification provides independent, third-party certification of high-performing new and existing homes: homes with “performance assets” that make them healthy, safe, comfortable, energy and water efficient. Green Home Choice is a free, voluntary green home certification program sponsored by Arlington County. The homes are awarded points for being energy and resource efficient, sustainable and for providing a healthy living environment. In addition to certificates, program participants are offered lawn signs, recognition by the County Board in an annual reception, media attention and builder and designer recognition on this website.